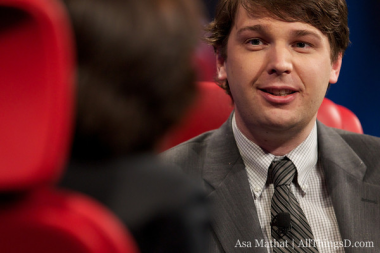 Print : Exclusive: Is Andrew Mason on the Bubble as CEO of Groupon? According to sources close to the situation, several Groupon board members have been seriously discussing making major leadership changes at the Chicago-based daily deals company, including bringing in a more experienced CEO to take over for co-founder Andrew Mason. The board of Groupon has a regularly scheduled meeting later this week; sources said such management issues are likely to be discussed there, due to increasing frustration by some directors about the novice CEO’s performance so far. To be clear, a move to replace Mason is not likely to happen immediately, if at all. And, in any case, any changes are likely to be done with his involvement. In addition, Mason also has support on the eight-member board — director and former AOL exec Ted Leonsis has always been a key mentor to him, for example. But it has become obvious over the last months that a substantive rift has been developing between Groupon’s key players. That has centered on Mason’s co-founder and Groupon executive chairman, Eric Lefkofsky, and board member and co-founder Brad Keywell. They, as well as several other directors, have been urging Mason to be more aggressive and public about the company’s turnaround efforts, sources said. The thoughtful and affable Mason — who has been the heart and soul of Groupon’s quirky culture and innovative product strategy — has indeed sometimes seemed to be in over his head in terms of leadership once the stakes got higher and the pressure increased after its IPO was announced last June. While the company’s struggles have been well known for a while now, discussions about Mason’s tenure as CEO have increased as its stock has dropped precipitously. That has prompted its directors and management to seek to find a way to get the company on more stable footing as a business and, perhaps more importantly, with investors. That has included the promotion of former Amazon exec Kal Raman to COO recently to give Mason more support. Raman is now, in effect, in charge of many operational aspects of the company, although not product, marketing or technology. Another bright light recently has been a major investment by Tiger Global Management, a well-regarded hedge fund and private equity firm, which bought up close to 10 percent of Groupon. The move sent its shares up 24 percent in the last week, to $3.88, with a $2.5 billion valuation. But that’s still 85 percent below its public offering price a year ago, and a far cry from the hype around the company when it exploded on the scene several years ago. Once the darling of the start-up space, with its innovative new social e-commerce model and lightning-fast growth, Groupon attracted huge funding from a panoply of top-tier Silicon Valley investors. With that came a stunning $6 billion acquisition offer from Google and, later, an even huger valuation of more than $10 billion. All that goodwill changed immediately after the company announced its IPO last June, with continued controversy around everything from Groupon’s accounting to management turmoil to its business model to rocky relations with merchants. And while Mason has labored to affect a more professional tone in his own style, and seemed to have created a more stable management team, continued issues in Europe and getting enough traction for a number of new promising product initiatives has been tougher to solve. Therefore, Mason’s performance is naturally under increased scrutiny, said sources. He will surely get questions on his record tomorrow, when he is scheduled to appear onstage at Business Insider’s Ignition conference in New York. Charles Sipkins, a spokesman for the board, declined to comment, as did Groupon spokesman Paul Taaffe. Return to: Exclusive: Is Andrew Mason on the Bubble as CEO of Groupon?